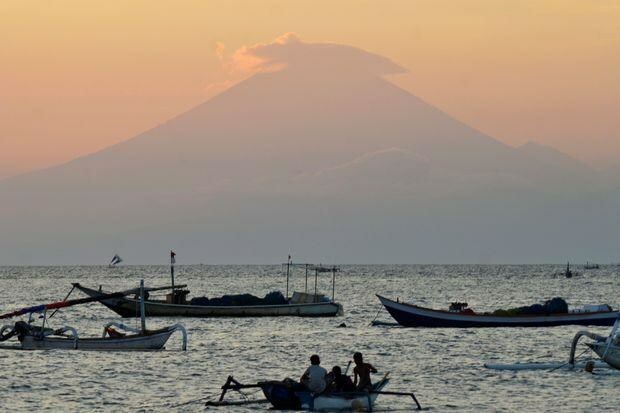 Jakarta (VNA) – Thousands of residents were evacuated from villages near an active volcano on the Indonesian resort island of Bali on September 22 as seismic tremors rattled some areas. The alert status for Mount Agung in eastern of the tourist spot is at 3, one level below the highest. Authorities requested tourists and residents to avoid camping or hiking within a 6 kilometre radius of the crater. Nearly 6,000 people have been evacuated so far and the number will increase. The Indonesia National Disaster Management Agency said that volcanic activity remains high and there are indications of magma rising to the surface, causing tremors. However, flights to and from Bali’s international airport still operate as normal. A series of eruptions at Mount Agung during 1963-1964 killed more than 1,000 people and injured hundreds.